Kitty Lun is Head of Creative Shop for Facebook Greater China. Before that, she was Chairman and CEO of Lowe Worldwide China, based in Shanghai. 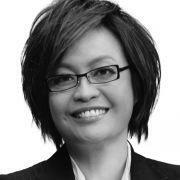 In 1980 Kitty joined Leo Burnett Hong Kong as a copywriter. By 1988, she had moved up the ranks to Creative Director and from 1988-91 headed the Creative Department at Leo Burnett Taiwan. In 1991, she returned to Hong Kong to join McCann-Erickson as Executive Creative Director. In 1997, Kitty joined Euro RSCG Partnership Hong Kong as Managing Director & Chief Creative Officer. During this period, she is also became the chairman for Euro RSCG Grand China’s Chinese Creative Circle. In 2000, she joined miclub.com, an Asian women’s portal, as Chief Executive Officer. Kitty joined Arnold Worldwide Partners in 2001 and by 2004 became General Manager and Executive Creative Director of Arnold Worldwide China.